Your comments came pouring in. What happened to the glaze? Where is the glaze? Oh Costco how could you take our glaze away? Ok, maybe not as dramatic as that last one sounds. 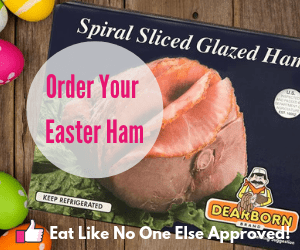 A year ago, I reviewed the Kirkland Master Carve Boneless Ham. It came as a whole ham that has been carved off the bone. No one shaped it into an unnatural log shape like the traditional boneless ham. 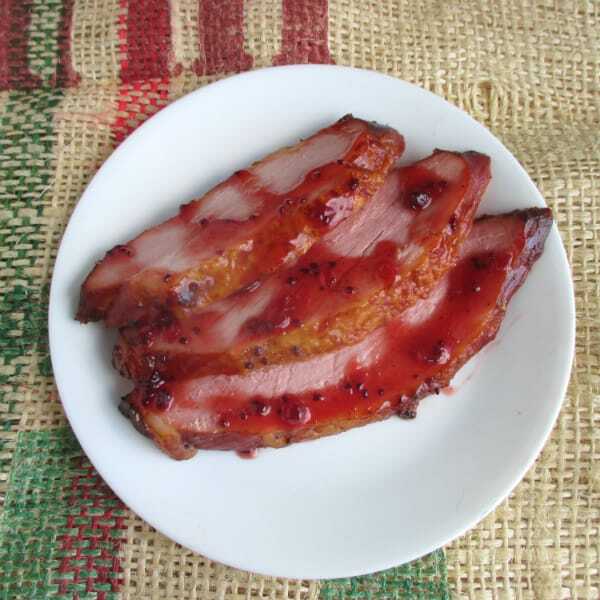 This ham also came with a glaze – a red currant one. I prefer to make glazes myself but I used the one that came with it for review purposes. It was a good glaze. Not too sweet. I wasn’t a big fan myself of the dried currants that was in the glaze but nevertheless, still made for a tasty ham. 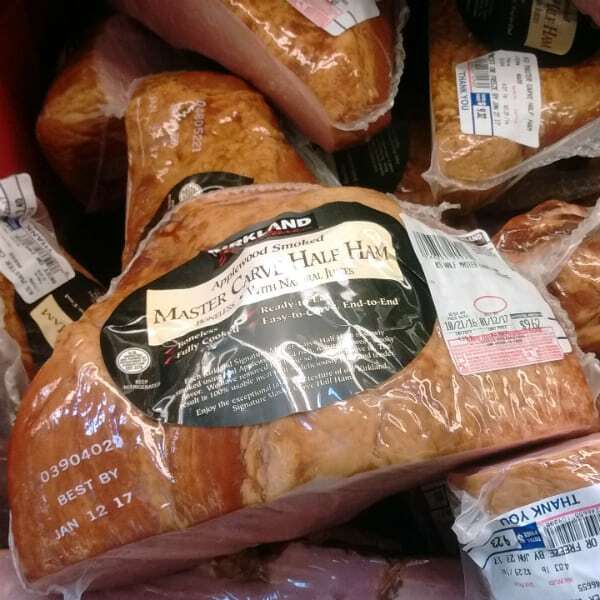 Sometime in 2016, Costco decided to get rid of the glaze and go to selling the ham in only half size portions. You can just buy two halves like I did for Christmas 2016. 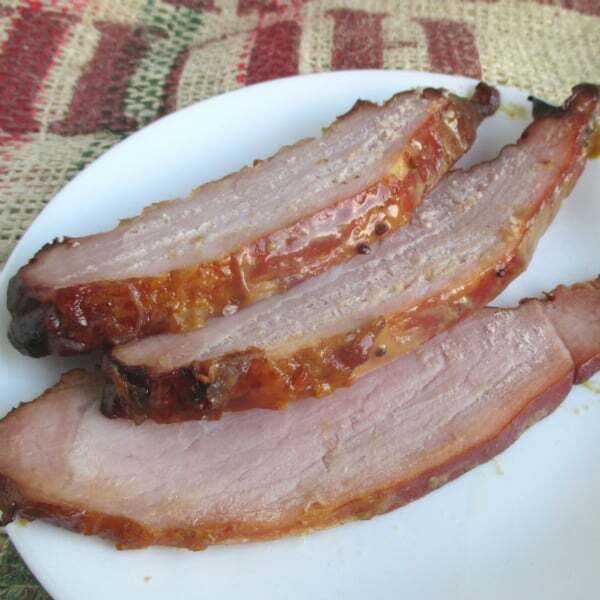 As for the glaze, I got you covered – so your ham can be covered in flavor! If you are interested in learning about what the ingredients that are in this ham and other hams check out my post “What’s in Ham“. Since I was cooking two ham halves at once, I thought why not do two different glazes at the same time. Glaze Number 1 is my interpretation of the currant glaze that Costco use to offer. Number 2 is a simple brown sugar-dijon mustard glaze. I was going to try and make a ham glaze using Pomegranate molasses, but Whole Foods was all out at the time. I wanted to compare the flavor of the Pomegranate molasses to that provided by the red currant jam. Both have that sweet yet tangy thing going on. Oh well. Maybe next time. I went back to the ingredients that appeared in the red currant glaze Costco use to provide. That glaze included currant juice, dried zante currants, Worcestershire sauce, and a few other ingredients. Since it’s easier to find I choose red currant jam. The pectin in the jam would gives the glaze some body. In order to balance out the sweetness, I added some white wine vinegar (you could use red wine to for a more intense flavor). The Worcestershire sauce may seem strange but it goes really well and you only need a little. It just enriches the glaze without screaming their Worcestershire sauce in it. I also decided to add some ground cloves. Cloves and ham are a classic combo. 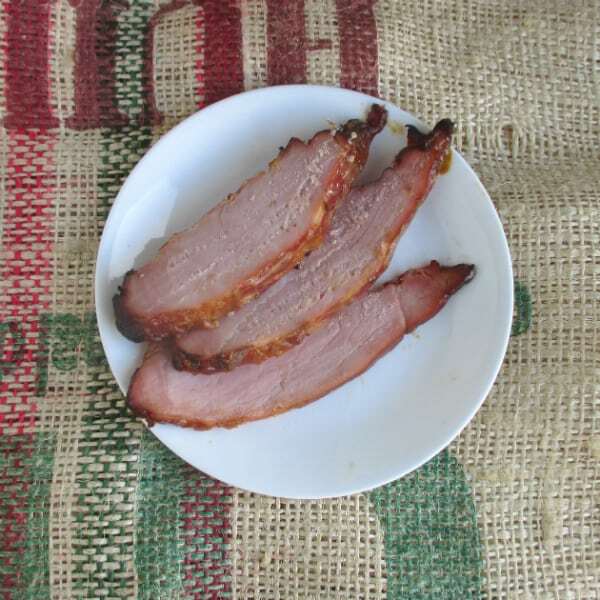 You often see some old school ham recipes with whole cloves stuck right into the ham. If you liked the dried currants that were in the original Costco glaze you add about 1/4 cup of them. The zante currants that were in that glaze are actually dried Champagne grapes, which are not made from Champagne. Lots of confusing marketing going on here. Dried zante currants are easier to find, but if you can get actual dried red or black currants by all means use them. 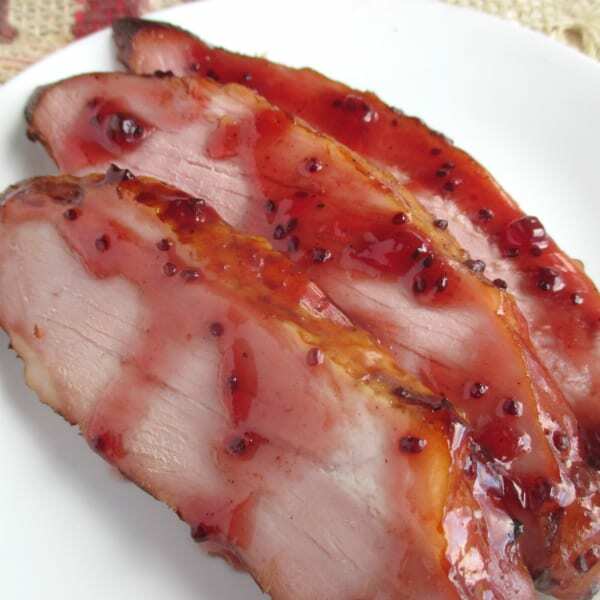 My replication of the red currant glaze that use to come with Costco's Kirkland Master Carve Ham. This glaze is enough for half ham with a little leftover to use at the table. In a small saucepan, add all the ingredients. Stir to combine. When the ham is about 20 minutes from being done or at 120 degrees. Remove the ham from the oven and apply the glaze with a pastry brush. Return the ham to the oven and finish cooking. Internal temperature needs to be 140 degrees. Save any leftover glaze to be used at the table. If you want to try a different glaze – the simple combination of Dijon mustard and brown sugar. Add some ground ginger if you want to spice things up a bit. I like to make my own brown sugar so I can control how dark it is. 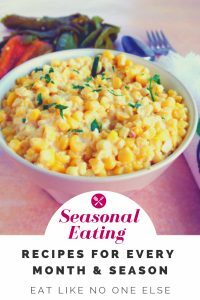 To make this glaze just mix together in a bowl 2 tablespoons of Dijon mustard and 3 tablespoons brown sugar. Add 1/4 teaspoon of ground ginger if you like. Then apply the glaze as I directed in the red currant recipe. It is enough for one half ham. Calling all Costco fans! Make sure to sign up for my Costco specific email updates, so do wouldn’t miss a thing I am sharing about your favorite store. Awesome sauce, I missed out on the currant glaze to :/ I got this ham on an impulse buy for new years dinner at costco, glad it reviewed well and look forward to some yum yum piggy! I would love to know how it turns out for you. It’s my go-to ham now. 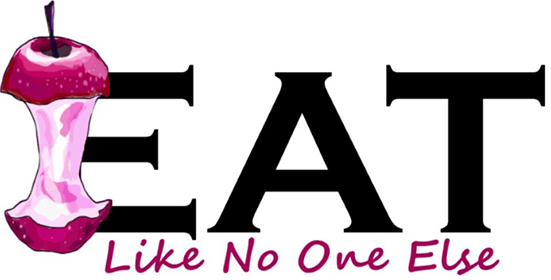 It’s so easy to carve and you get 100% useable meat. I think you will like the glaze too. I just bought the ham at COSTCO and was sorry to see the glaze missing. Thank you for the replication (I came specifically online looking for it). We really enjoyed your version! I used the Kirkland ham, left ham on counter for 1 hour to take the chill off, sous vide for 2 hours at 120 degrees, 20 minutes in oven with your delicious glaze, and it was the best ham yet. Thanks so much.